Over the years I have been asked many times, “What is an R-E-I-T?”, commonly referred to as a real estate investment trust. People want to know how they can invest in REITs and whether or not Real Estate Investment Trusts produce good returns. 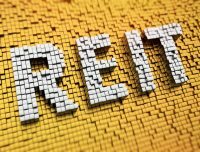 There are many benefits and disadvantages of investing in an REIT and I would love to share them with you in this blog. I will provide you with some Real Estate Investment Trusts basics to help you decide if they are right for you or if you are better off doing your own investing. A real estate investment trust is a company that owns, and in most cases, operates income-producing real estate. REITs own many types of commercial real estate ranging from office and apartment buildings, to warehouses, hospitals, shopping centers, hotels, storage facilities, and even data centers. They can own pretty much any asset type. Real estate investment trusts are basically dividend paying stocks that focus on real estate and allow average individuals to invest in large scale, income-producing real estate. People invest in REITs because they earn a share of the income produced through commercial real estate ownership without having to purchase commercial properties. I call REITs, “Investing from the sidelines”, because you are investing in commercial real estate without actually participating. In this type of REIT the group of investors actually own the physical property. In this type of REIT, the investors are investing in the mortgages of the commercial properties. ETFs are basically stocks that invest in other REIT stocks and then they pull them together. It offers a diversified basket of Real Estate Investment Trusts holdings and they trade on the stock exchanges as well. In 1960, Congress created the REIT and designed it to be similar to a mutual fund overseen by the IRS. To qualify for a REIT, the REIT must have a long term outlook or a long term investment horizon. It cannot be a quick one year, or even two year investment plan, it must be a long-term investment. Also, a REIT must invest at least 75% of its total assets in real estate and derive at least 75% of their gross loss income from rents, interest on the mortgage, or from a sale of real estate. The key qualification is that the Real Estate Investment Trusts must pay at least 90% of its taxable income in the form of shareholder dividends each year. An REIT cannot hold onto its earnings and must be an entity that is taxable as a corporation per the IRS. They must be managed by a board of directors or group of trustees and have a minimum of 100 shareholders with no more than 50% of its shares held by five or fewer individuals. That’s a lot of qualifications for a REIT. Retail REITs account for 24% of all REIT investments made in the US. These REITs make money from rents from their tenants so it is important that the retailers are doing well in their businesses so they are able to pay the rent and provide regular cashflow for the company. Just remember that retail REITs invest in shopping centers and malls and these have struggled over the last few years, leaving us uncertain about retail REITs. Make sure you do your research when considering a Retail REIT. Residential REITs focus on large and beautiful class-A apartment buildings and manufactured housing. I personally invest in this sector and make sure I pay close attention to the demographics, the movement of people, and the job creation. In this sector, if there are no jobs, there are no tenants and you will suffer. Office REITs invest in office buildings and earn income from a tenant’s rent. Most tenants in office REITs have long term leases. Investors considering an office REIT should consider the local unemployment rate, the local economy, and vacancy rate. The most popular REIT is the mortgage REIT. They basically produce income from the interest generated from lending money. They invests in mortgages. Healthcare REITs take up a pretty sizeable share of the market and are very popular. They own real estate properties such as hospitals, medical centers, nursing facilities, and retirement homes. These REITs depend on factors such as occupancy fees, Medicare and Medicaid reimbursements, and private pay in order to be successful. Real Estate Investment Trusts can be purchased through any major broker just like a stock. To get a full list of REITs to invest in, you can go to REIT.com, Dividend.com, Marketrealist.com. These websites will share how well the REITs perform in terms of investor returns and dividends paid out. You have to understand that REITs are, what we call, “total return investments”. They provide high dividend yields along with capital appreciation. Look for an REIT company that has historically done a good job producing yields and long term capital appreciation growth. 2. Find out if the REIT is traded on the stock exchange so you can diversify yourself and not be locked in long term. Liquidity matters, so that’s key to assessing any REIT. 3. Strong management makes a big difference, and this is from the mouth of Warren Buffett. Look for companies that have been around for a while or possess an experienced management team. 4. Quality counts so only invest in REITs with great properties, great real estate, and great tenants. 5. Consider buying a mutual fund or an ETF that invest in REITs and leave the research and the buying to the pros. One of the primary reasons investors invest in REITs is because REITS are required to pay out at least 90% of their income as a dividend to shareholders. The higher dividend could equal something better than what someone could do in the stock market alone. The second benefit is that the income is secured by long leases. REITs own physical assets and often have long term lease contracts with their tenants. This leads to a secure and stable income stream over a long period of time. Another benefit is that REITs are liquid. Since they’re traded on major stock exchanges, this makes buying and selling rather easy. If you don’t like what’s happening, you can sell it and get your money out. REITS are also professionally managed by highly skilled and experienced real estate professional managers. The average investor, might not have the skill to manage large properties on their own. The next advantage would be transparency. The SEC or the US Security Exchange Commission requires registered REITs to make regular disclosures to the government and this makes REIT operations more transparent to investors. You can keep informed through public disclosures via the SEC. One big problem with REIT investing is the lack of diversification. If you only purchase one or two REITs, you could end up with problems because most REITs specialize in a single property type. If they do not have experience in a particular type of real estate, it could ruin your portfolio. The second disadvantage is that REITs grow at a slower pace. Remember, REITs pay out 90% of their income but that means they can only reinvest a maximum of 10% of their annual profits back into the core business each year. This may cause some REITs to grow at a slower pace than a normal company would on Wall Street. REITs are required to pay at least 90% of their disposable income to their shareholders, so they don’t have to pay taxes on profits. However, investors and shareholders will have to pay income tax on the annual dividend as though it’s personal income, not a capital gain. This means investors in a higher tax bracket may be at a disadvantage because they have to pay higher taxes. Although capital gains pass to REIT investors, losses are trapped in the LLC. Losses are huge for REITs, because the write-offs you can get from commercial real estate are not available in a REIT. Physically owning a piece of commercial real estate is advantageous compared to a REIT in this circumstance. The REIT may be able to use losses to retain cash in the REIT, but unlike a partnership, investors in a REIT will not be able to use the losses on their own tax returns to offset income. Is it Better to Do My Own Investing and Not Invest in Real Estate Investment Trusts? With Real estate investment trusts, you have no landlord responsibilities because the REIT does everything for you. With a REIT, you have no landlord responsibilities. They buy the property, manage it, and do the accounting, so there’s no responsibility when investing in a REIT. Also, a REIT is liquid, so if you don’t like what the management is doing, you can sell and get out. On the other side, if you do your own investing and purchase your own commercial real estate, you are in control to buy whatever you want, wherever you want, whenever you want. You can refinance or improve cash flow by increasing your income, whenever you want. Because you are completely in control of your property, you can even choose to sell it. You will receive a greater cash flow and greater returns, and also reap all of the tax benefits. When you invest in a REIT that is a huge property with huge depreciation, as a shareholder, you do not get to experience that benefit. But if you buy your own property, you get the full benefits of depreciation. You can leverage by using your $100,000 as a down payment on a $400,000 mortgage, to purchase a $500,000 property. You create your own personal REIT by getting people to invest with you to purchase large pieces of commercial real estate.. This is called syndication and I have a podcast called, “The Basics of Real Estate Syndication” that will teach you how to gather people to purchase a property, that you couldn’t purchase on your own. In this case, you’re going to pool everybody’s money together and buy large pieces of cash-flowing commercial properties. Very informative. I have been thinking about investing in REITs for the dividend income for my ROTH. The different types of REITs and the disadvantages you mentioned will have me take a closer look before I jump in.